Last night I had the privilege of being invited to a small dinner forum to hear Philippe Legrain speak – a leading British economist from the London School of Economics. Philippe is a British political economist and writer and he specialises in global and European economic issues, notably globalisation, migration, the post-crisis world and the euro. Philippe shared with the group his insights into the business case for employing refugees and the benefits not only to organisations, but to the recipient economies as well. The word ‘refugee’ often conjures up images of people who are desperate, have no skills and who create a significant burden on society, which everyone else in the community needs to pay for. Contrary to these wide-held beliefs, there are some interesting, but not well known facts that point to the fact that the benefits far more readily go the other way. According to Philippe ‘prejudice is a poor predictor of how people will fare’, which shows that perceptions are well just that...perceptions. He went on to name a list of notable success stories, people who have not just contributed to the economies of their adopted country, but in fact had much wider reaching impacts across the globe. The conversation turned to Vietnamese boat people who fled their country in the 1970’s, making for the US. Even though these people came to the US with little or nothing to their name, today Vietnamese people in America are more likely to be employed than local Americans, and they have higher average incomes than Americans. He views refugees not as ‘charity cases’, but as people with lots to contribute. 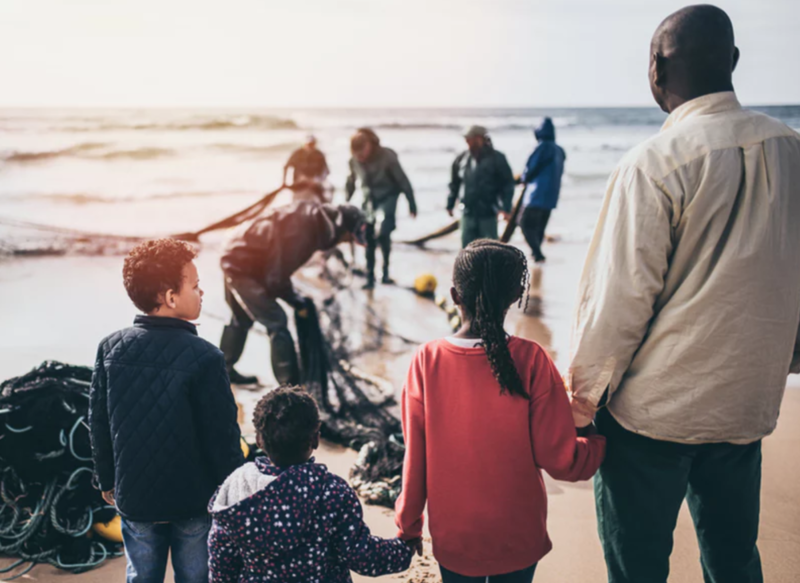 In fact Philippe maintains that welcoming refugees to our shores should be viewed as an economic investment, that can yield big financial dividends. Philippe’s research shows that by investing 1 Euro in a refugee, the return on investment is 2 Euro’s within 5 years. Around the world, every 3 seconds, someone is forced to move from their home due to terror, political upheaval or war. Philippe maintains that government agencies, who have traditionally been at the forefront of dealing with displaced people are overwhelmed. There needs to be a much more cohesive approach to how refugees are welcomed, integrated and settled into their new homes. This means that organisations, the community, government and the NGO sector need to work together. To this end, Philippe has set up the Tent Foundation www.tent.org which 80 organisations around the globe have put their name to. As New Zealand employers, I urge you to think about the role you can play in helping to build New Zealand’s economy by tapping into this valuable resource. New Zealand’s quote of refugees is small – around 750 p/a. Talking to a handful of former refugees around the table last night, I was hugely inspired by their stories. People like my friend Mitchell Pham, who came to New Zealand as a child from Vietnam, without his family and is now co-founder, director, international development director of the Augen Software Group, a company with offices both in New Zealand and in Vietnam. He is also Chairman of NZ Tech and making phenomenal contributions to the tech sector not just in New Zealand, but globally. Think about the opportunities available to your organisation to tap into this valuable talent pool in New Zealand. Perhaps we need to reframe our picture of refugees and think about them simply as people like you and I, who at the present moment, due to no fault of their own, are seeking ‘refuge’ and safety. People who like many of us are resilient, committed, skilled, hard-working and loyal and just want an opportunity to start again and contribute to their adopted country.